When the Prelate of Opus Dei visited London in December 2017 he stressed the need to put Christ at the centre of our lives. 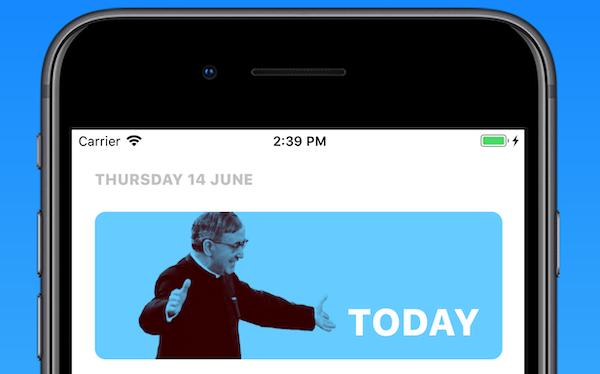 And so I thought up the eScrivaLite app, which with one click on “Today” calls up the text of the Mass reading for each day in turn, and then all the passages in St. Josemaría’s published works referring to that text. It may be a passing reference, or form the basis for a deep, prayerful reflection, but it always offers a lead into applying the Gospel to each person’s everyday life and circumstances. I am still improving the app, and issuing updates that widen the range of possible uses. 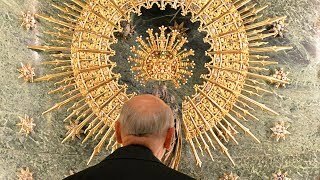 There were no mobile phones when St. Josemaría saw Opus Dei in 1928, nor when he went to Heaven in 1975!, yet this and any other form of work can be sanctified. Personally, I found that creating and developing an app is a great way of putting into practice his teachings on the sanctification of ordinary work and daily life. It offers me many opportunities for living out his message on the importance of little things and doing everything for love. “Let me stress this point: it is in the simplicity of your ordinary work, in the monotonous details of each day, that you have to find the secret, which is hidden from so many, of something great and new: Love” (The Forge, 489). For example, by commenting code — the practice of adding explanatory notes that detail what the code does, in order to help future developers understand the logic. It is always a tedious and painstaking job, but like every other kind of work it can be transformed by love. This work gave me many opportunities to love others by making the experience of the app as easy and pleasurable as possible. For instance, because the user wants to get to the information with minimum clicks, I needed to learn new techniques and sometimes write more code to make this happen. In The Forge St Josemaría writes: “May you know how to put yourself out cheerfully, discreetly and generously each day, serving others and making their lives more pleasant. —To act in this way is the true charity of Jesus Christ” (The Forge, 150). St. Josemaría’s message about being sowers of peace and joy is particularly poignant for me when “bugs” creep in and cause havoc. A number of things can cause a bug, such as a change in third-party content that the app is not able to cope with. It then requires time and patience to find the cause, otherwise known as de-bugging, and then provide a newer version of the app to the user. “The incidents, the problems, the friendships which your work brings with it, will give you food for prayer. The effort to improve your own daily occupation will give you the chance to experience the cross which is essential for a Christian” (Christ is Passing By, 49). Clearly the message of Opus Dei is not just for app developers and app designers but for everyone who wants to find God in the middle of their profession and daily occupations. It is a message about becoming a saint right in the middle of the world, “passionately loving the world” as he preached in a homily in 1967: “Understand this well: there is something holy, something divine hidden in the most ordinary situations, and it is up to each one of you to discover it.” Or “There is no other way, my daughters and sons: either we learn to find our Lord in ordinary, everyday life, or we shall never find him.” His message, dating back to the last century, is just as applicable today, for people like me working in totally new fields, and it will be the same in the future: it is permanently up-to-date. 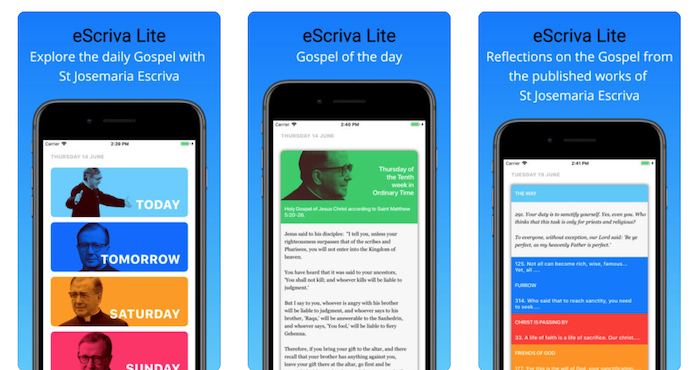 The app eScrivaLite provides users with an easy and attractive way of reading the Gospel of the day and of accessing the published writings of St. Josemaría that are relevant to that Gospel passage. It offers people a tool to get closer to God through their daily lives and occupations, and to meet God there. One of the points offered for Christmas Day reads: “We are children of God. —Bearers of the only flame that can light up the paths of the earth for souls, of the only brightness which can never be darkened, dimmed or overshadowed. —The Lord uses us as torches, to make that light shine out... It depends on us that many should not remain in darkness, but walk instead along paths that lead to eternal life” (The Forge, 1). This app is free, it’s easy to use, it comes in seven languages, and you are only one click away from getting daily inspirations on the Gospel message!